But even a repressive state cannot obliterate desire - neither Offred's nor that of the two men on which her future hangs. The Handmaid’s Tale is one of those reads that you know will leave an impression on you, at least it did for me. What I loved most about this was the way Atwood introduced profound ideas, which were explored somewhat, but for the most part I was left to delve further and reach my own conclusions. At first, it was a little frustrating, seeing as I wanted to know more, but overtime as I began to engage and construct my own opinions, I realised that I was taking more out of the plot by being forced to think about what Atwood was presenting. I really would’ve liked to have studied this sometime during high school or university because I feel like I would’ve gained so much more. There are so many aspects to this novel that can be discussed and to hear people’s opinion about it would’ve made for great debate. The best part of The Handmaid's Tale as well, is that your opinion of it will change depending on when you read it during your life. For me, being at the ripe old age of 22 (kidding, I know I’m still very, very young), this novel has given me so much to think about but I’m also aware of how much I would’ve missed. I say this because Margaret Atwood, whilst writing this in 80s, was well ahead of her times and introduced ideas that can only really be grasped from knowledge gained through life experiences, studying these aspects or being well read. Personally, I think my feelings around this novel will definitely evolve between now and say 10 years later. The writing itself is almost like the stream of consciousness style, reflecting Offred’s mindset perfectly. It felt like she was recounting her time, moving to and from the past and present as she remembered moments that related to her present time. I found that it was almost like I was reading a diary - intimate and compelling - and I couldn’t help but become attached emotionally. The world building was also fascinating and slightly terrifying. It depicts a society with ideals and hierarchy that can be considered as exaggerated to reinforce Atwood’s portrayal of the negative consequences in creating such a society. However, there are notions of truth within it, and as terrifying as it sounds, this world presented in the book could potentially become a world we might live in. This is why I find Atwood so impressive, because the story is well beyond its years and will remain relatable for generations to come. 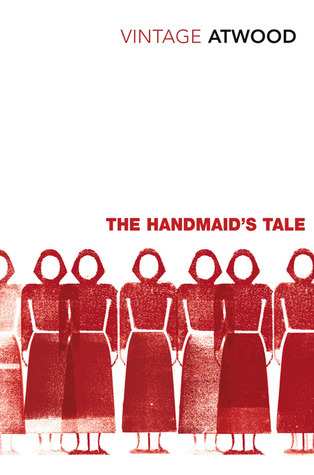 The Handmaid’s Tale is a thought-provoking and precautionary tale that speaks of equality, power and identity that will stay with you and is well worth the read and re-read later on in your life.